HISTORY: Tan-Tan arrived at BSBCC on August 5th, 2015.Tan-Tan was rescued from being sold in the remote region of Paitan. The person who bought Tan-Tan informed the Sabah Wildlife Department and this led to the Department’s wildlife rescue unit sending her to BSBCC. She weighed 4.9 kg on arrival. Tan-Tan was found healthy and not dehydrated. PERSONALITY: In May 2016, we introduced Tan-Tan to the other sub–adult bears and were pleased to see her get along with all the bears. She is quite a character with a strong sense of humour. 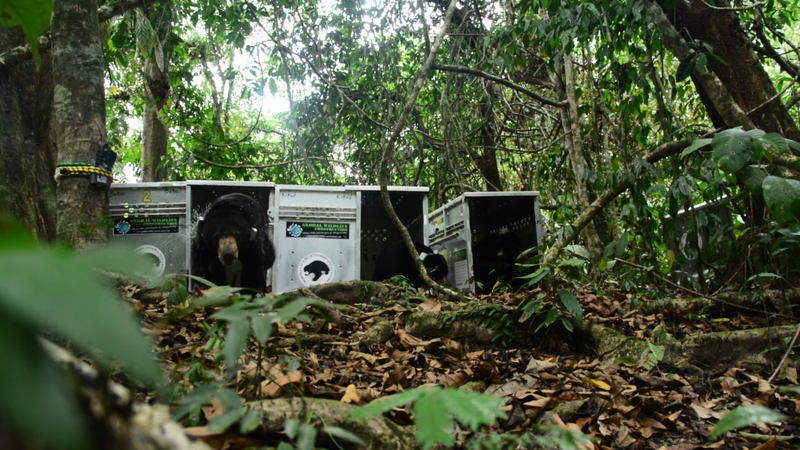 Finally on July 15th 2016, Tan-Tan and her friends (Boboi and Kitud) took their first steps on the forest floor. She is small but she is an incredibly great climber. She is really an arboreal little bear. There is no limit to how high she will climb. She broke the record at BSBCC. She is the bear that has climbed the highest. Tan-Tan likes to stay in the forest enclosure even at night time. She knows how to camouflage in the forest with her tiny body size and by hiding in the dense grassy area. Tan-Tan has quite a feisty nature. She knows how to build a comfy tree nest for resting. 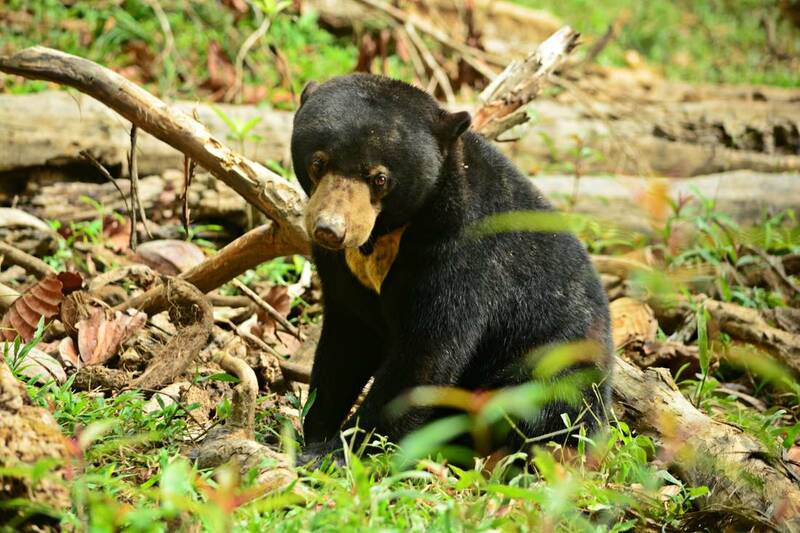 Sun bear like Tan-Tan are our hope for the future – she needs the life she deserves! We are pleased to share that Tan-Tan were released into the core area of Tabin Wildlife Reverse, in Lahad Datu, Sabah on the 14th of April, 2019 together with his friend (Boboi and Kitud). After the four years of rehabilitation process at the BSBCC, now a new adventure and new chapter of their lives are just beginning. Once the door opened, Tan Tan and Boboi ran straight to the forest. On the other hand, Kitud was exploring and curious with her new environment. After few minutes, all of them disappeared in front of our eyes, into the forest! ADOPTION: Tan-Tan was adopted by William Ma, Emily Ma and Wendy Zhou through the My Bear Adoption Programme.